Ahvi Spindell (Founder) – loves to engage people. He will converse with almost anyone he meets because he finds people and their lives enormously compelling. He is a seasoned listener, storyteller and communicator. Ahvi has represented public, private and non-profit companies as well as individuals in a variety of industries including; health care, consumer products, manufacturing and technology. In this capacity, he has developed close, ongoing relationships with an extensive list of journalists and editors, ensuring clients a steady stream of publicity, while providing strategies and content for social media engagement. 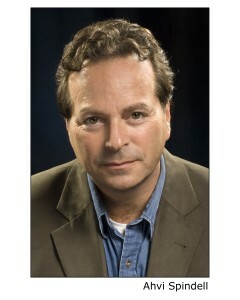 The skills Ahvi honed earlier as a Juilliard School of Drama trained professional actor, director and teacher, a member of three performance unions, working extensively on Broadway, Off-Broadway and at regional theatres across the country, have significantly contributed to his work in Media Relations over the past 15 years. Ahvi also attended Ithaca College and earned a BA degree in Media Studies from Empire State College (SUNY). Years of trade show work, industrial films and commercial voice overs, prepared him to partner with B2B and consumer businesses. As an international marketing consultant for the Spanish (Rioja) government, he introduced multiple businesses to USA markets. He was also recruited to help establish the US-China Entrepreneurs’ Federation and honored to be made one of its first American based founding members. Ahvi’s photographs encompass a wide repertoire of subjects and are extensively published; frequently coupled with articles he has authored. Over the years, he has earned a reputation as a trusted resource and a dedicated collaborator who provides meaningful results with grace and a sense of humor.